When the gearbox oil expires, the life of the gearbox itself ends too. 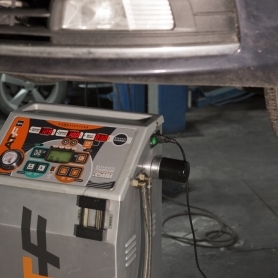 We recommend changing oil in automatic gearboxes after every 60 000 km. In case of a sportier driving style changing oil after 30 000 km is even better. 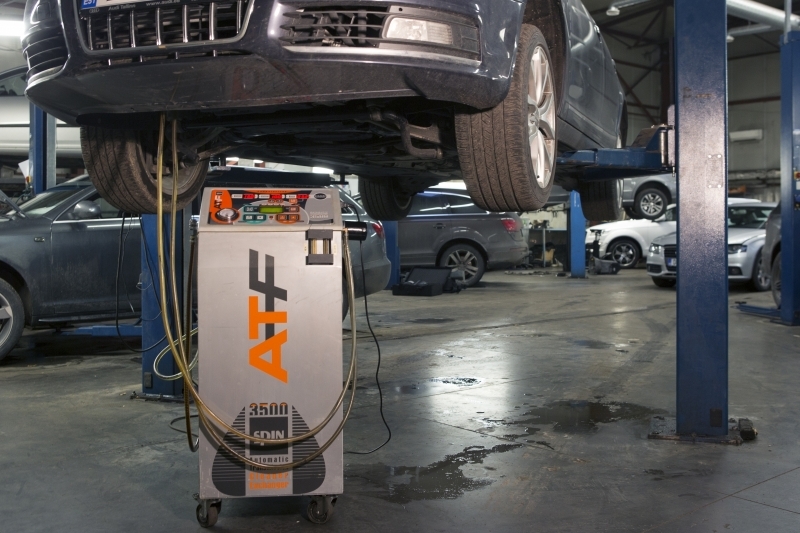 Until now, oil change in automatic gearboxes has been done mechanically: the old oil has been removed and new poured in and then the filter changed. A mechanical oil change results in getting only one third of the oil out from the gearbox – the rest gets hidden with dirt into the turbine, pipes and elsewhere. When the dirty oil is topped up with fresh oil, the new oil quality is instantly reduced by half. 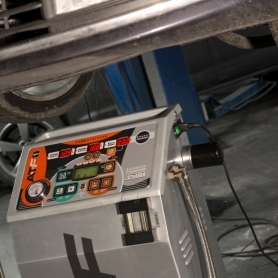 Flameko uses high standard equipment for gearbox maintenance and dynamic oil change. Our equipment allows cleaning the entire gearbox as well as replacing all the oil in the gearbox with new oil. First a special cleaning agent is added to the gearbox. Secondly, the oil contained in the gearbox is washed with our special equipment. The equipment is attached to the oil cooling pipes so that the oil in the gearbox is sent through the equipment several times. The filter in the device removes additives, which are stored in the catcher of the equipment, from the oil. The cleaning continues until all additives from the oil have been removed. To completely remove sticky contamination, cleaning agents are added to the oil. 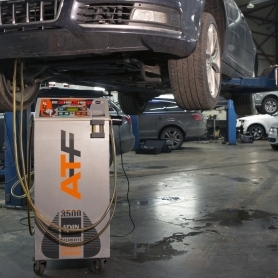 If during a normal oil change only one third of the oil in the automatic gearbox is renewed and the old oil remains in the hydro transformer, cylinders, pump, pipes and valves, then not only does our equipment remove the oil from the given places, the equipment also cleans all interior surfaces of the gearbox components. Thereafter, all the oil is pumped out of the gearbox including the entire piping, hydro transformer and valves. We also check the oil pressure of the gearbox. Thirdly, the interior oil filter and bottom seal of the gearbox are changed. The process ensures that residues on magnets are removed and the gearbox is properly sealed. The cleanliness of the new gearbox oil is 100% guaranteed. Fourthly, the equipment helps us to fill the gearbox with new automatic gearbox oil. 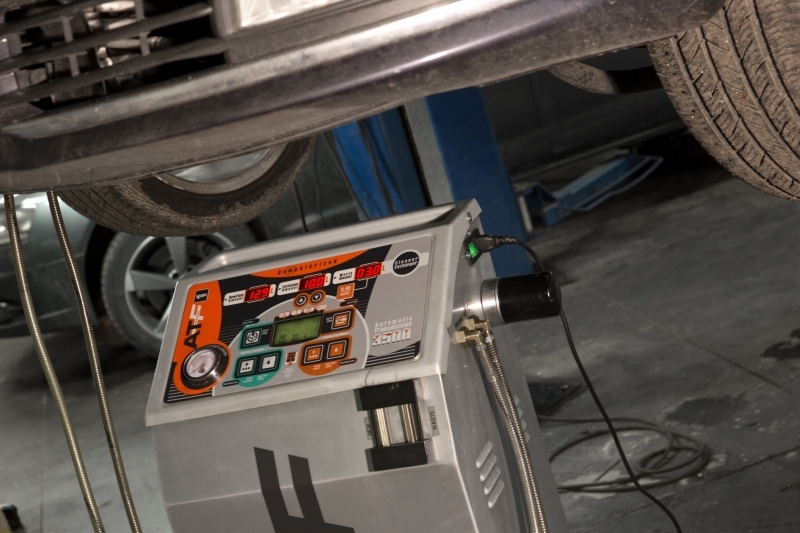 The device checks the exact quantity of oil added and ensures that all oil channels of the automatic gearbox are filled with oil prior to ignition. Thereafter, the functioning of the gearbox is tested. Fifthly, the car is taken on a test drive to check the functioning of the gearbox. The car is left to cool for several hours and later everything is checked one more time. Sixthly, the gearbox receives an electronic base adjustment so that the gearbox electronics is aware of the performed maintenance and can adjust itself accordingly. Final adjustment is made after driving 100 km. 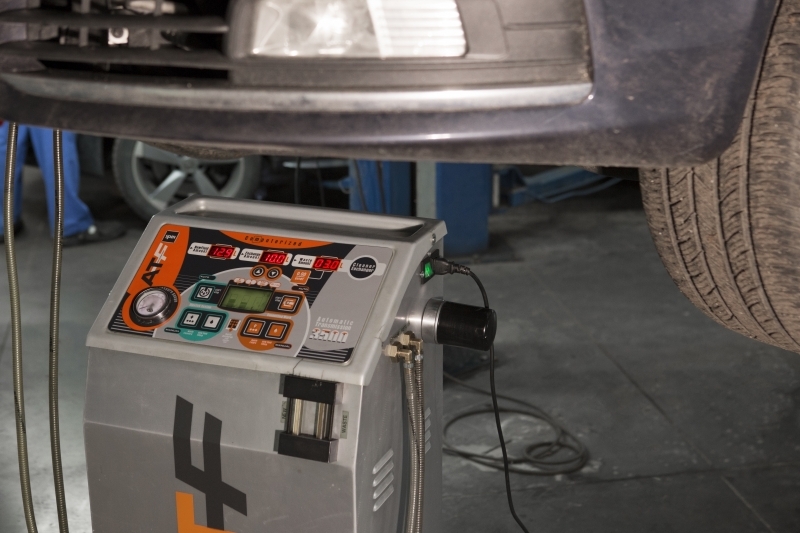 The client may use the vehicle in normal fashion, the entire process is automatic. Dynamic maintenance of the gearbox is pricier already because the quantity of oil used is greater (no contaminated oil is left in the gearbox), but the end result is of significantly higher quality, too. 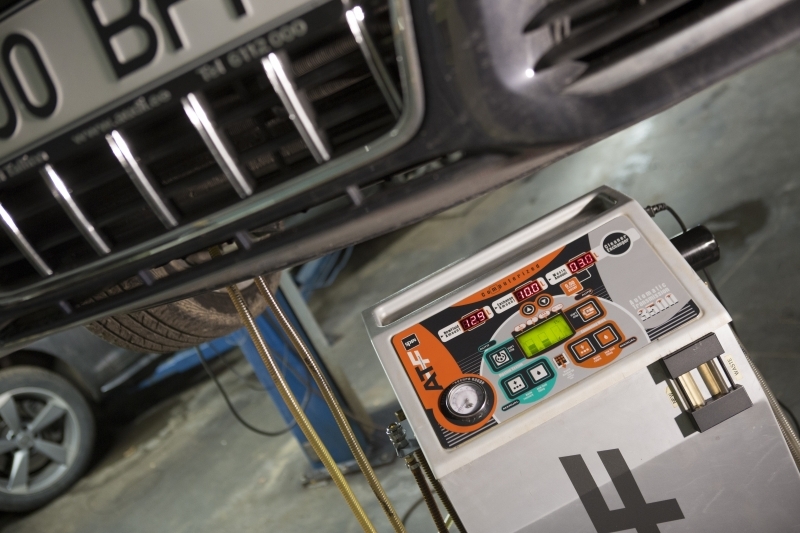 The device can be used to perform separate stages of the gearbox maintenance process, creating a combination desired by the client.